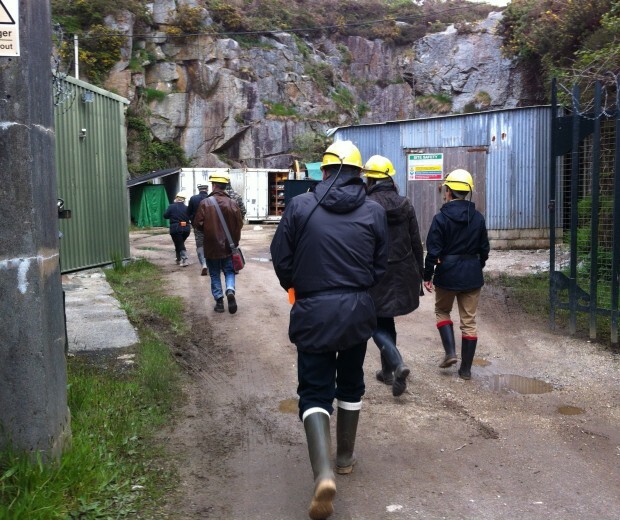 This field trip included visits to Carn Brea for an overview of the surface expression of historical mineral extraction between Redruth and Camborne; the surface workings at South Crofty, the last tin mine to cease production in 1998; the newly opened Heartlands ‘cultural playground’; and the underground workings of the Camborne School of Mines Test Mine, near Camborne. Artist Abigail Reynolds responds. 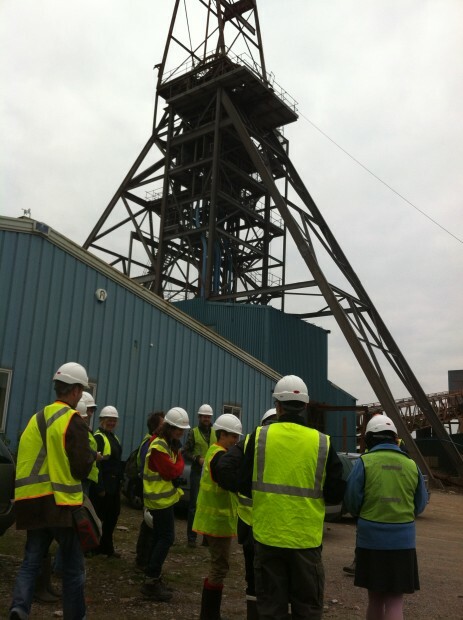 Field trip led by Robin Shail of Camborne School of Mines, University of Exeter. Field trips engage the brain through the senses, through a direct experience. Ours was a tripartite trip of subtle parallels. 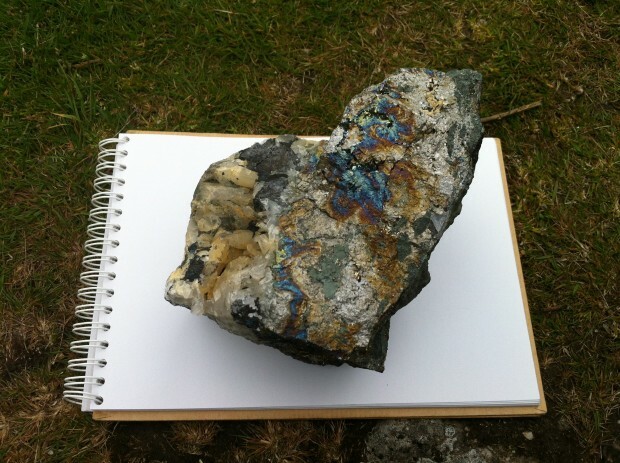 We began by surveying the terrain from a hill top over Camborne, a lump of mineral in hand, clearly showing bandings of metal… the geology shaping the valley and hills entirely exploited for mining. Descending amongst the mining wreckage of centuries, now curtailed, we first probed South Crofty mine. In the dead hulk of industrial machine sheds, a search for for rare and heavy metals is underway, in hope of new beginnings. A gigantic three-dimensional map of the ground beneath our feet showed an extremely complex web of mines and adits, woven through one another, seeking the lodes. Why it’s been built as a sculpture rather than remaining in the computer-generated form it was created in is a mystery. Perhaps a testament to an ex-miner’s need to manually shape rather than tap at a keyboard. 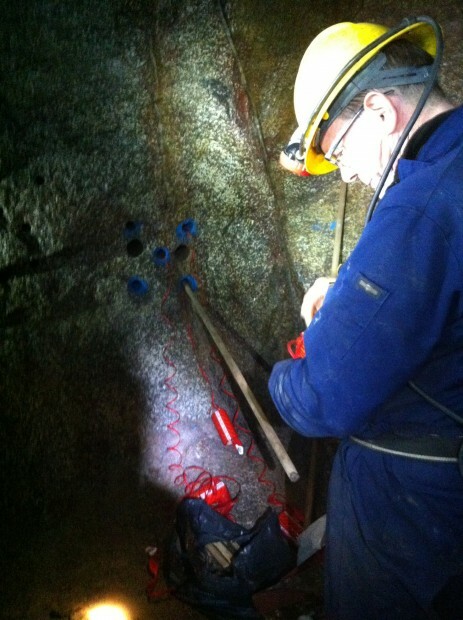 If the mine were to start up again the whole works would be underground. Nothing of it would show on the surface. The second site (incongruously just across the road) was ‘Heartlands’. This is an alternative revivification of an ex-industrial contaminated site. Here, rather than seek the future in alternative mineral deposits (e.g. indium, now in demand for touch-screens) the 1990s or Blairite approach to defunct heavy industry is displayed: reconfiguration as leisure. ‘Heartlands’ is an extremely strange place. One example of its strangeness is the name of the cafe: ‘Red River’. This a reference to the dreadful pollution that spewed from the mines when they were closed and flooded. The toxic deposits that washed into the river turned it red. An odd decision, to refer to evidence of toxic waste in the name of a cafe. Still, it felt very like now – or maybe like 10 years ago. A strange blend of infotainment and frank children’s play park. We were there the day preceding the Olympic torch leaving Lands End. 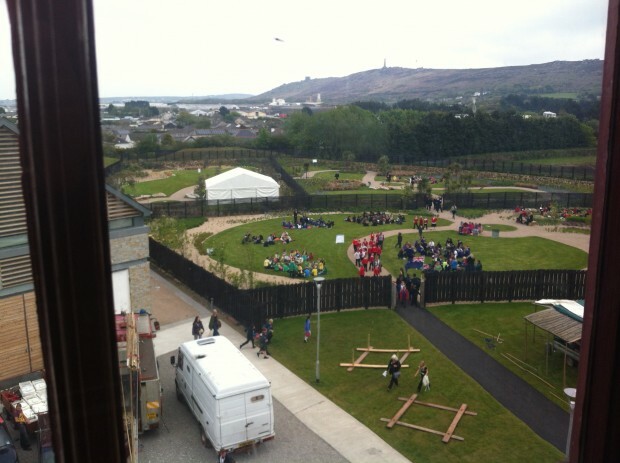 The place was filled with school groups busily practising … what? I watched for a long time from the tower that used to run the pumping engine but I could not at all work it out. The torch was not coming to Camborne. The third site was the most extraordinary. 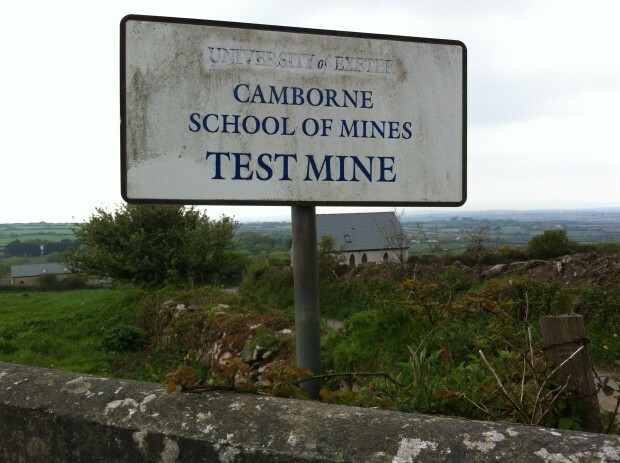 Walking into the Camborne School of Mines test mine we conducted a subterranean explosion. 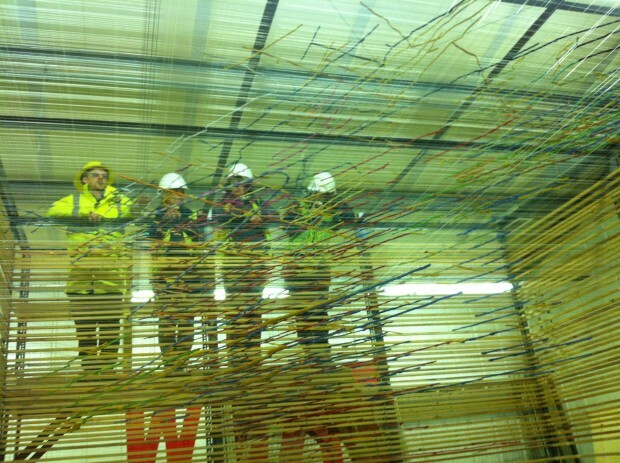 The physical experience of the mine gave me a glimpse of the miners’ passion; working underground, looking with a hunter’s eye at the geology, tracking down ore. The explosion itself, whooshing past and through me in the pitch black, the shock of it reverberating off the rock surrounding me, vanishing down tunnels then sucking back, somehow leaving a loud silence in my ears and chest. I emerged from the test-mine with a whiff in my nostrils of the chase, the craft of mining, the skill in reading the rocks – that the mine would be a kingdom as rich in interest as a rainforest to the biologist or stock prices to a city analyst.